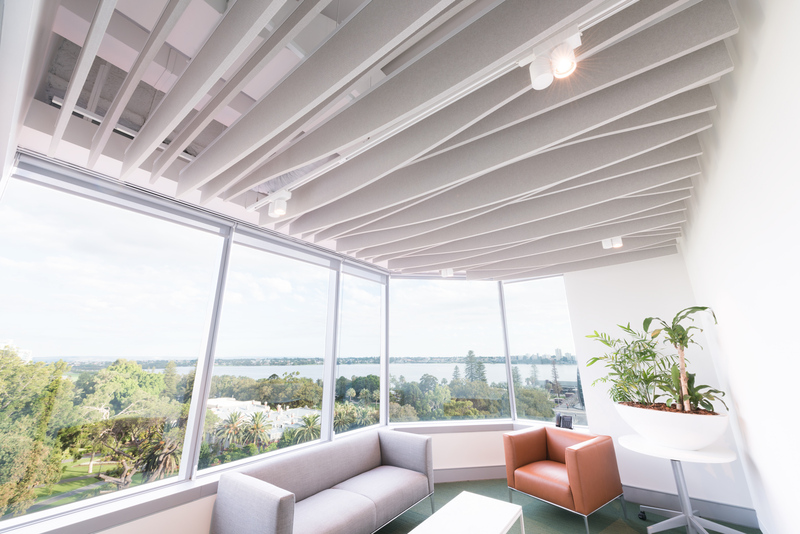 With operations in Perth that stretch back over 45 years, Arup continues to design buildings and infrastructure that shape the future of the city. 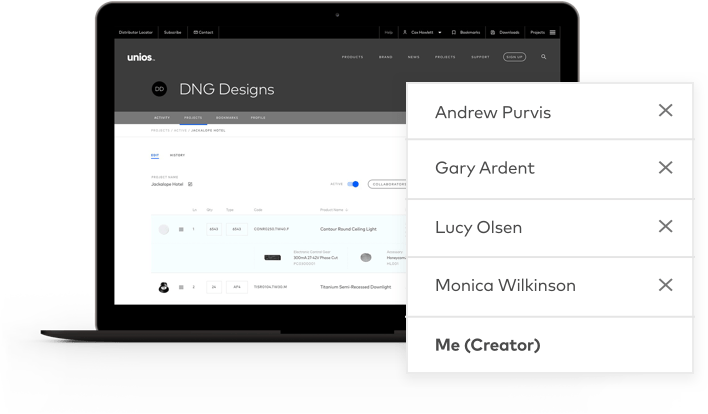 This focus towards the future crosses over into their vision for their open plan office in Perth. 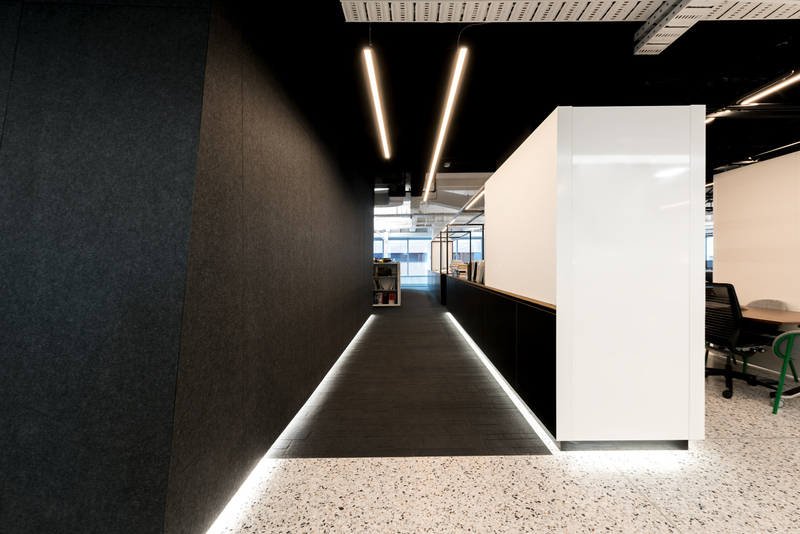 The lighting solution for their new headquarters provides a superb example of future-proofing, visual comfort and minimalist design. 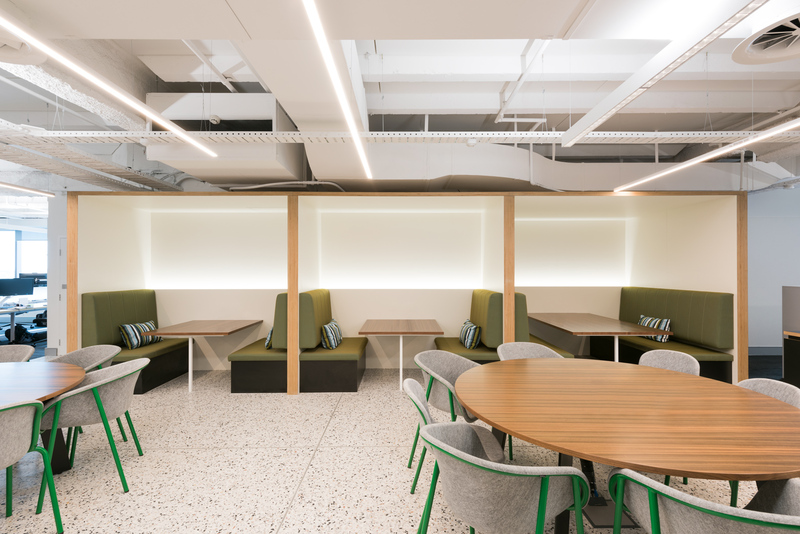 Extending over an entire floor of the Exchange Tower in the CBD, the space accommodates a reception area, an open-plan office, a number of meeting rooms and a common area. 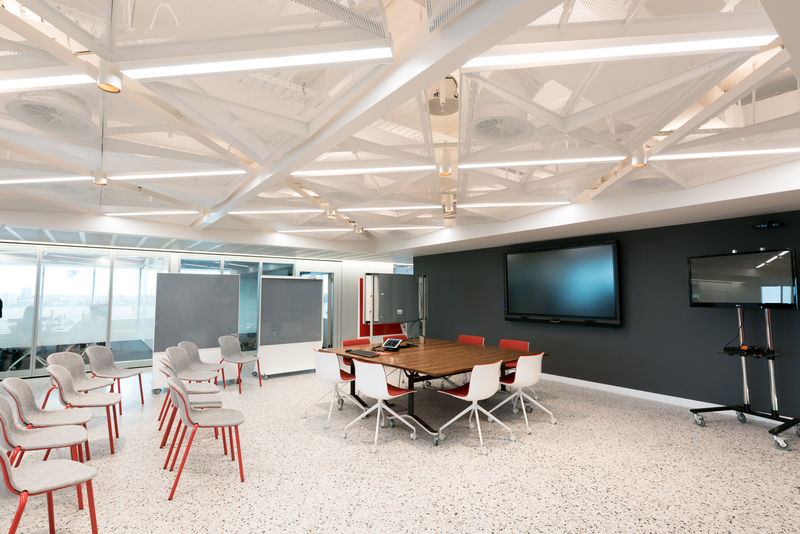 The space is defined by a crisp black, white and red colour palette with exposed ceilings. 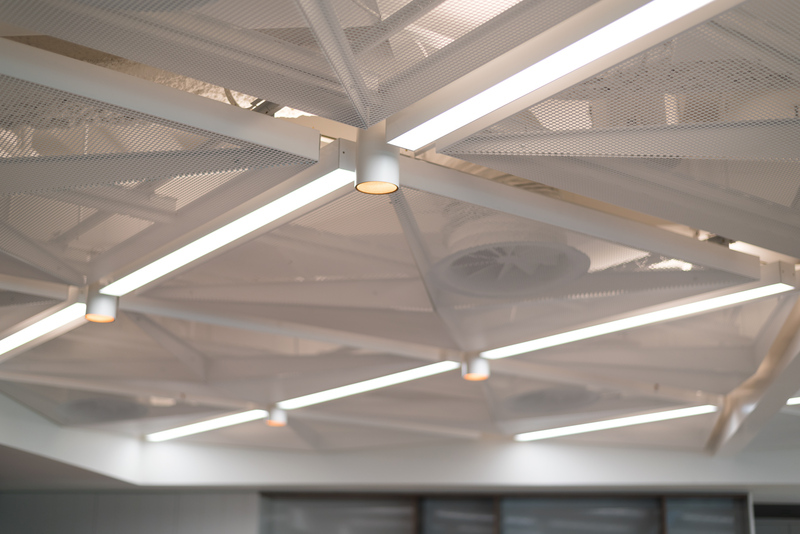 To enhance and accentuate the exposed ceilings and concrete floor, a network of suspended extrusion luminaires are utilised to provide a visual feature and excellent visual comfort. The layered approach is both practical and visually striking. 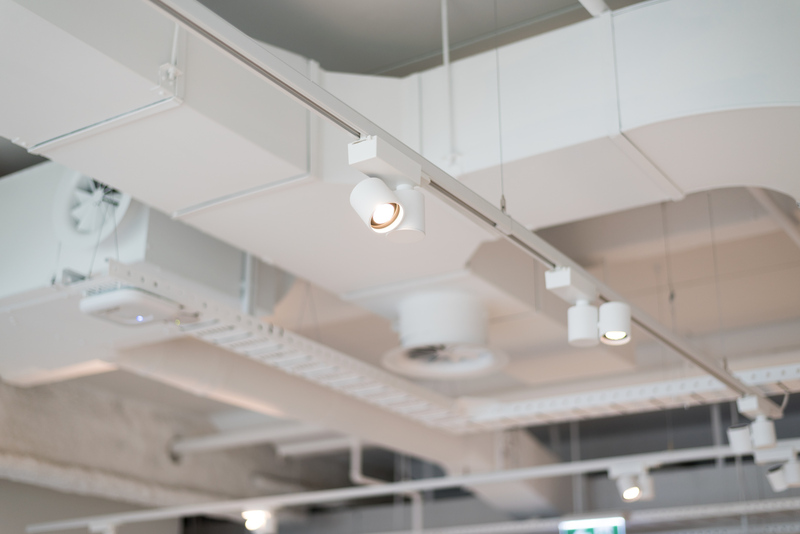 In the reception and common area, Horizon Track Lights are used to great effect – matching the minimalist approach to the fit-out. 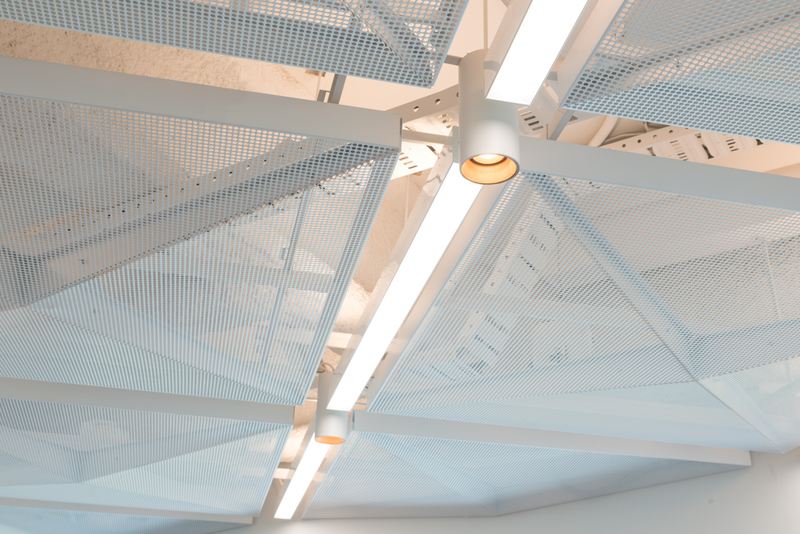 Each track light is paired with a honeycomb lens to reduce glare and provide a very comfortable working environment. 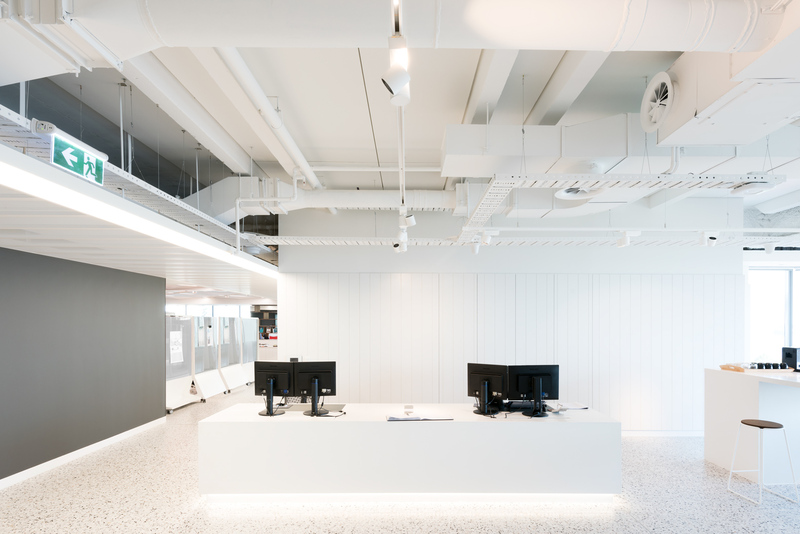 The office continues with carefully coordinated extrusion luminaires for practical illumination and Eclipse Strip lighting for dynamic visual illumination. 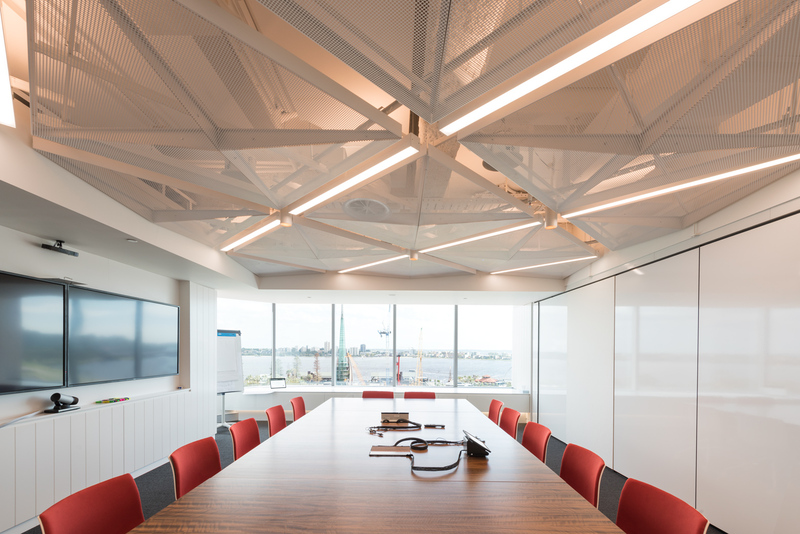 The combination of task and feature lighting brings to life all the architectural details of the office space. 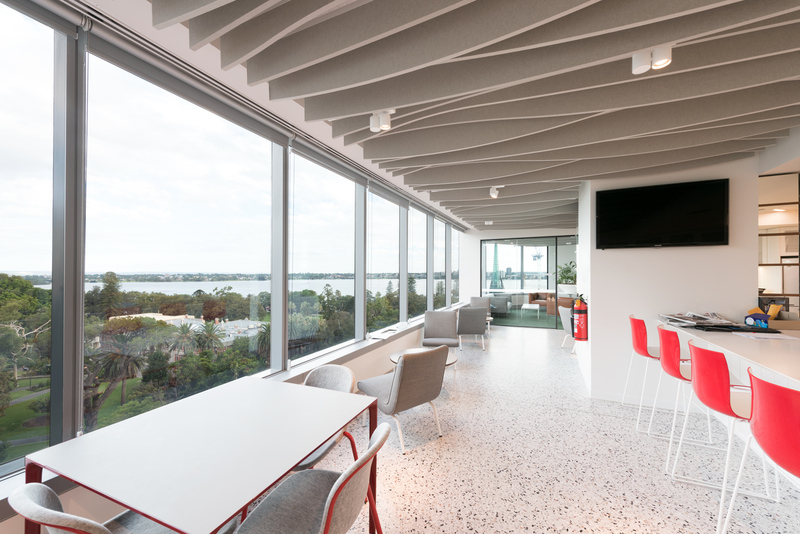 The Perth office provides another example of the company’s desire to shape the built environment with an eye towards how we live and work in the future.